For more information about or to register for the new joint BA in Theology and Culture, please email Anita Fast. 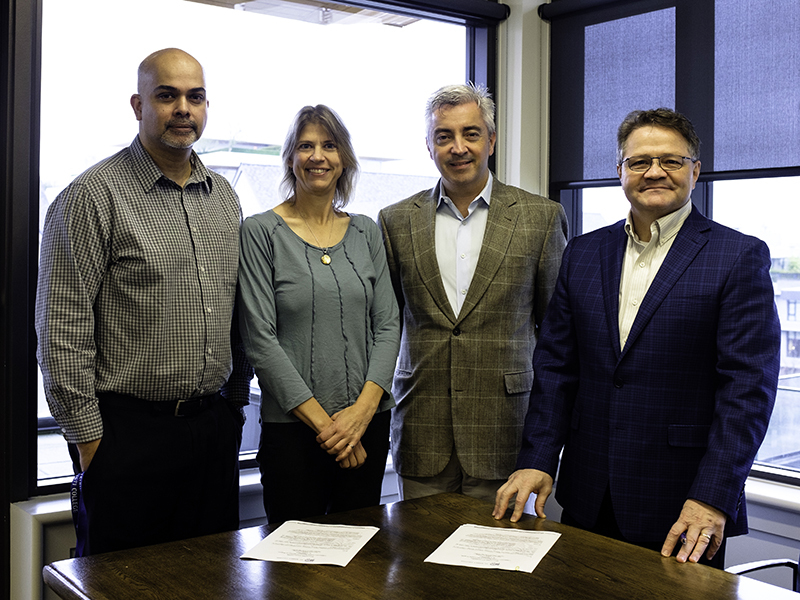 St. Mark’s College and the Vancouver School of Theology, affiliated Theological Colleges of the University of British Columbia, are pleased to announce the signing of an agreement to increase educational offerings for domestic and international students aspiring to pursue graduate studies. The agreement includes program partnerships and other innovative pathway developments between the institutions, effective immediately. St. Mark’s College is the Roman Catholic theological college affiliated with the University of British Columbia. Founded in 1956 by the Congregation of St. Basil, St. Mark’s College engages students in the integration of faith and reason, so they can think rigorously, act justly and serve faithfully. The Community of St. Mark’s at UBC – comprised of St. Mark’s College, Corpus Christi College and St. Mark’s Parish – offers undergraduate, graduate and professional programs. In the past 5 years, the Colleges have experienced a 100% growth in enrolment and continue to expand programs that provide teaching excellence and leadership development. VST’s primary mandate is the education and formation of thoughtful, engaged and generous Christian leaders for the church in the 21st century. Among theological schools, VST is viewed as a change agent and an innovator for the church. As an affiliated college of the University of British Columbia, VST is now ranked 39th globally and in the top 10 of most improved theological schools. The Vancouver School of Theology welcomes students from many Christian communions, other faith traditions and Indigenous communities, while celebrating its core relationships with the Anglican Church of Canada, Presbyterian Church in Canada and United Church of Canada. This collaboration will support indigenous and non-indigenous domestic and international students in their goals of an undergraduate degree and pursuing eligibility and admission into the Graduate studies program at VST. This joint effort will allow for English language training, cultural preparedness and increased enrolment of students, while building upon the growing diversification of each school. Integral to the pathway to graduate studies at VST is the shared promotion and teaching of the BA in Theology and Culture at St. Mark’s College. More information about the greater opportunities for students will be posted to the St. Mark’s College and Vancouver School of Theology website. St. Mark’s College and the Vancouver School of Theology acknowledge that the land on which they are located is the traditional, ancestral, and unceded territory of the xwməθkwəyəm (Musqueam) People.